„The rich, smoky colors and earthy sensuality of her voice were matched by the naturalness of her acting and a fiery temperament at one with this touchstone mezzo role “, John Von Rhein writes in the „Chicago Tribune“ about the debut of Nadia Krasteva as Carmen on the stage of the Chicago opera. The audience has also applauded to Carmen, Nadia Krasteva´s bravura role, on leading opera stages all around the world as the Vienna State Opera, the Arena di Verona, the Bolshoi Theatre, the Deutsche Oper in Berlin, the National Opera Amsterdam, the „O2 Arena“in Hamburg, the festivals Sankt Margarethen (Austria) and Savonnlina (Finland), the National Opera Riga, the National Opera Sofia and others. In her repertoire, Nadia Krasteva has more than 30 roles,performed on some of the most prestige opera stages and festivals in the world, like Wiener Staatsoper, the Arena di Verona, the Metropolitan Opera, the La Scala in Milan, the Chicago Lyric Opera,The San Francisco opera, the Bolshoi Theatre,La Opera Bastille in Paris,the Konzerthaus and Musikverein in Vienna,Theater an der Wien,Musikverein in Graz,the Verdi-Festival in Parma, the Nomori Opera and the „Spring Opera Festival“ in Tokyo, Teatro auditorio de San Lorenzo de el Escorial" ,the Deutsche Opera and the State Opera of Berlin, the “Teatro Colon” in Buenos Aires, the festivals „Sankt Margarethen“, Savonlinna(Finland), Santander (Spain) and „Faenol“ in Wales, the Bavarian State Opera in Munich, the San Diego Opera, in Amsterdam, Valencia, the opera in Dallas, the National Opera in Sofia,the opera Theaters in Zürich,Geneve,St.Gallen,Torino,Riga,Dresden,Essen,The NCPA in Beijing. After getting a special invitation to join the ensemble of the Wiener Staatsoper in 2002, Nadia Krasteva has immediately become a leading figure and the audience´s favorite in Vienna. She made her debut as Fenena in „Nabucco“ and has performed most major mezzo-soprano roles in the opera literature like Carmen (Carmen), Eboli (in both French and the Italian versions of “Don Carlos”), Leonora (The Favorite), Adalgisa (Norma), Sara (Roberto Devereux), Maria Gesualdo (Gesualdo),Ulrica(Un Ballo in Maschera), Giulietta (The Tales of Hoffmann), Marina (Boris Godunow),Preziosilla (La Forza Del Destino), Maddalena (Rigoletto), Giulietta (The Tales Of Hoffmann), Olga (Eugene Onegin),Pauline/Daphnis(Pique Dame),Meg Page(Falstaff),Emilia(Otello), Suzuki (Madame Butterfly) and other ones with great success. The fastidious Viennese review enthusiastically welcomes every appearance of hers on stage, thrilled by the incredibly strong influence of her beautiful timbre, her ability to recreate every role extraordinarily convincing and musically precise, as well as her enviable play and her strong presence on stage. Nadia Krasteva is a guest of many of the most prestige opera stages and musical festivals in Europe, the United States, Japan and South America – both with the above listed roles and parts like Delilah (Samson and Delilah), Amneris(Aida), The Princess (Rusalka), Venus (Tannhäuser), Princess De Bouillon (Adriana Lecouvreur), the requiems of Verdi and Mozart, the 9th symphony of Beethoven, opera gala concerts and song recitals.Some of her biggest successes are connected with her appearances as Delilah(San Diego opera,Sofia national opera,NCPA in Beijing,Teatro reggio Torino) and as Eboli in both italian and French version(Vienna,Berlin,Munich,New York,San Francisco,Dresden,San Lorenzo de El Escorial,Valencia,Sofia,Bratislava). Future engagements of the mezzosoprano will lead her to the Bavarian State Opera as the foreign Princess in "Rusalka" and Preziosilla in "La Forza del Destino",Amneris in"Aida"at the Summer Music festival at the ancient Theater in Plovdiv,to Tchaikovsky Concert Hall in Moscow for Rossinis "Little solemn mass",to the Covent Garden for her debut as Maddalena in"Rigoletto"and to the Bolshoi Theater for"Un ballo in maschera". Nadia Krasteva was born in Sofia. She was a student at the State Music Academy „Pancho Vladigerov” in Sofia, when she made her debut on a big stage with the role of Sally Bowles in the musical „Cabaret“at the State Music Theatre „Stefan Makedonski“in Sofia. 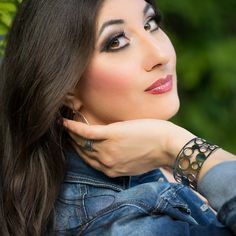 She graduates from the State Music Academy in July 2000 with an award and next year got a scholarship from the Academy for Opera Singing „Boris Christov“ in Rome, where she specialized under the guidance of the Italian opera prime Anita Cerquetti.